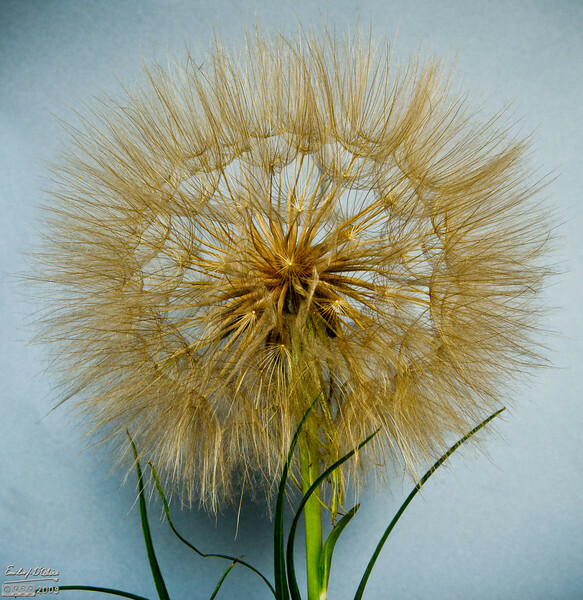 These look like the dandelion's globe of parachute seeds, but these are seed globes of the Salsify plant. 2-3 larger than the dandelion's, these are more visually impressive reaching diameters close to 4 inches. The plant is native to Asia and Europe, but does well here.